To the casual music fan, The Yardbirds are best known as the band that honed the skills of future “guitar gods” Eric Clapton, Jeff Beck and Jimmy Page; and for their slew of chart hits, including For Your Love, Heart Full of Soul, I’m A Man, and Over Under Sideways Down. However, led by core members and songwriters Jim McCarty (drums), Chris Dreja (rhythm guitar/bass) and the late Keith Relf (vocals/harmonica), the band’s experimental explorations also provided the crucial link between British R&B, Psychedelic Rock, and Heavy Metal, while pioneering the use of innovations like fuzz tone, feedback and distortion. Even their 1968 break-up set the stage for Rock ‘n’ Roll’s future…leading Jimmy Page to form the New Yardbirds, later re-christened Led Zeppelin. 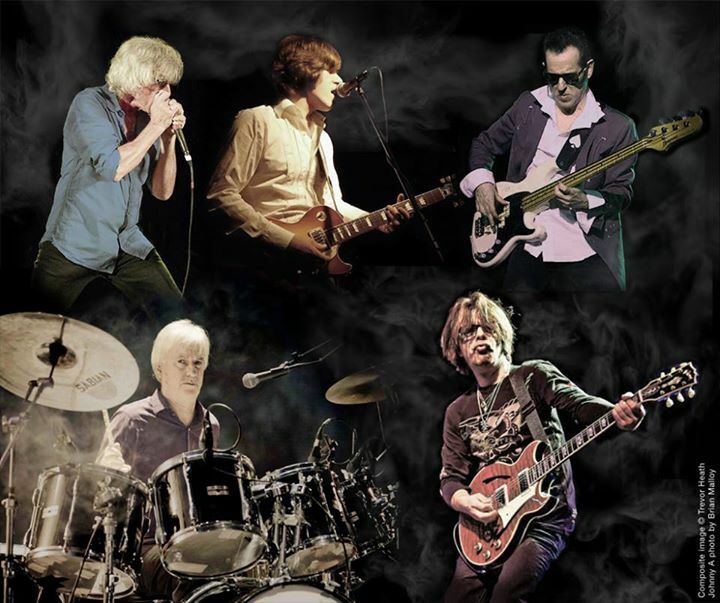 Reuniting decades later, McCarty and Dreja brought The Yardbirds boldly into the 21st Century with the 2003 release of the acclaimed CD “Birdland”, which featured guest appearances from the likes of Brian May, Joe Satriani, Slash and Steve Vai. The Yardbirds, electrifying, eclectic and way ahead of their time, melded heavy rock, wild jams, and an improvisatory feel, and continue to influence generations of bands. Go to a Yardbirds show and you’ll find crowds filled with 20-somethings to baby boomers all thrilling to this band’s legendary power. Seeing The Yardbirds in action is experiencing rock’n’roll history. 2015 marks the start of a brand new chapter for The Yardbirds!